Welcome to Cloth Diapers Online, where you'll find free, in-depth cloth diapering information, resources and product reviews. Using cloth doesn't have to be complicated at all. In fact, it's quite simple once you have some basic information. However, if you're new to using cloth, getting started can feel a little bit overwhelming until you find the clear instructions and tips that you need. That's how I felt six years ago when my oldest child was a newborn and I tried using cloth with him - overwhelmed. I didn't have a clue what to do with the stacks of soakers, diaper liners and diaper covers piled up in the nursery, and I didn't know where to get the information I needed. So, in those early days, out of desperation and lack of information, I ended up using disposables. Eventually, I was eventually able to figure out how to use cloth baby diapers - it's really not all that complicated - and now I'm cloth diapering my youngest child. I wish I'd had a good source of information to guide me six years ago; it would have made the learning process much easier. While using cloth baby diapers is not difficult, there are several different diapering systems available, and there are strategies for caring for your diapers that will make them last longer and work more effectively and easily. The information on this site will help you sort through those choices and strategies to find the options that work best for you and your family. Below you'll find a list of links to the major sections of this site. Most of the pages listed below link to several more pages that are related to each specific topic. 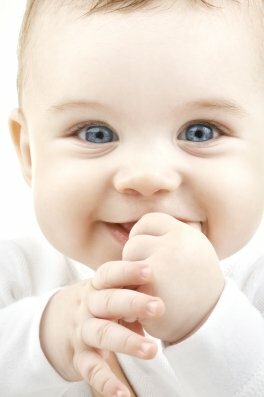 Please read through to find answers to your diapering questions. 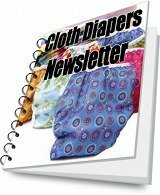 The Cloth Diapers Blog will keep you up to date with all of the new information on the cloth-diapers-online.com website. Subscribe here. Learn the basics of cloth diapering - instructions for folding cloth diapers, caring for diapers and choosing the right system for you. Clear descriptions of the many types of cloth diapers available so you can choose the best cloth baby diapers for your needs. Discover the huge range of cloth diaper fabric that exists, learn the strengths of each type of diaper fabric and where to buy. Instructions for washing cloth diapers. 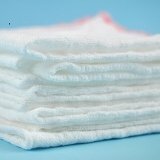 Learn how to wash cloth diapers no matter what system works best for you. 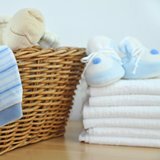 Everything you need to know about choosing to use a cloth diaper service. 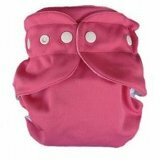 Information for choosing the best cloth diaper cover for your needs. Clear information about a variety baby diaper covers on the market. Learn about different types of cloth baby diapers. Discover which diaper covers to use with each type of soaker and which diaper fabrics are best. When you start using baby cloth diapers, there are a few supplies you'll probably want to pick up beyond the soakers and diaper covers. This list will help you decide what you need and what you can do without. Here are all of the Bumkins cloth diapers and accessories - Bumkins diapers reviewed on Cloth Diapers Online. Here are all of the Bummis diapers and accessories - Bummis baby cloth diapers and accessories reviewed on Cloth Diapers Online.